Burlapp seems to think this may be the Crider based. With Honda moving to a "simpler" design language, could this grille be a peak into it? Looks " old fashioned". The grill area looks better than the brow effect, to me. But I can't see it generating much traffic based on its looks. Looking at photos of the show car, the front grill inserts reminded me of a mid 00s JDM Odessy, which I happened to walk past in a shopping centre car park just last night. I'm not feeling it to be honest, in fact I prefer the chrome brow over this. 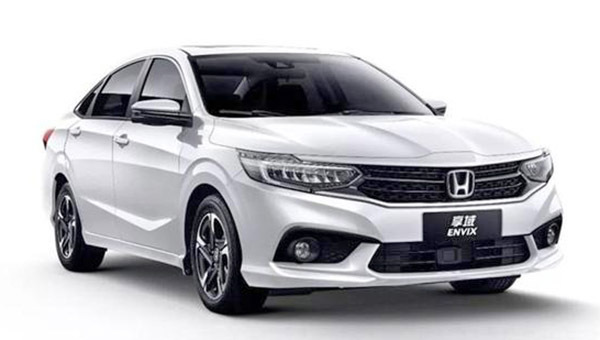 I don't know, China Honda cars are its own thing. Spirior, Avancier, UR-V, XR-V, and Gienia, all have its own front end design that took some element of the chrome brow, but some is just its own design. The Gienia (City hatchback) looks like a Nissan even. I'm probably going to wait and see the new nose applied to global model like the Civic/Fit/CR-V.
And by looker I mean stinker. I just noticed we've got a lot in common bro. Besides the love for the Freed, i also prefer Honda cars with crome on the front. I'm not that big of a fan for chromes, but a tasteful application would be nice to look at. Current Honda chrome brows aren't that big of a problem for me, but I can see why the opposite side would hate it. I do love the Honda E styling though, so again, as long the applications are good, I'm all for it (not the Envix).